‘Howzaaaaaaaaaaaaatttttttttttttttttttttt!!!!!!!!! !’ How could you resist him? Against not especially demanding bowling on the second day (Imran wasn’t fully fit) Middlesex eased to 116 for three and we middle/lower-order batsmen luxuriated on the balcony in a rare bit of sunshine and had an extended lunch of our favourite lamb cutlets and roast potatoes followed by apple pie, ice cream and custard in the players’ dining room. It’s at the rear of pavilion with no view of the pitch but, looking down on the back door, is always a useful vantage point to check if there are any tasty-looking girls hanging about wait- ing for autographs. We were just enjoying a post-prandial coffee and mints when we were summoned by the twelfthy. ‘Quick!! Gatt, Butch and Nobby [Paul Downton] are all out! It’s 122 for five. Yozzer, you’re next in!’ Actually I was next but one, but we dashed downstairs to find a dressing room in panic and Gatting puce in the face wondering where we’d been. I hurriedly got padded up, looking up to spot John Emburey being trapped LBW by a whippy left armer we had never seen before. The No.8, Neil Williams, walked out and was caught at slip first ball. The bowler with the floppy hair and fast arm wreaking havoc was now on a hat-trick. It was Wasim Akram. And I, still hurriedly arranging my equipment at the crease, was facing him. ‘Thaat’s not owwt!’ said lofty umpire Roy Palmer in his Wiltshire burr. ‘Oh my god, how could that not be out?! !’ enunciated Imran in his pukka accent from short mid-on. Was I relieved? Well, no actually. Batting against Wasim was the most difficult thing I have ever had to do, and that includes understanding quadratic equations, reading The Satanic Verses and persuading a girl to go out with me. I had faced all the overseas quicks – Holding, Marshall, Garner, Clarke, Lillee, Thomson, Hadlee, Walsh and in later seasons Donald, Waqar and Ambrose. They were all fast. But with each of them you could at least see the ball out of the hand, even if you weren’t good enough to hit it. None hid the ball from view or made it duck and dive like Wasim. His deliveries were the original disappearing act. Now you see it – a bit – now you don’t. His bowling arm juddered as he ran in, and he often switched the ball from one hand to the other, making it impossible to focus on. At the crease his body was only briefly suspended in motion before his left arm whipped over and the ball flew out. There were no cues – a slightly more purposeful run-up, a bigger jump at the crease or a more pronounced duck of the head (suggesting a bouncer) – to judge what the length of the delivery might be. As for the line, well, he had this unique ability to make a delivery dip or curve late in flight, in or out. You did not see the ball for long enough in approach or release to work out what it was likely to be or detect the shiny side, and there was no discernible change in action. Just a subtle variation of pres- sure from his fingers. And his superb co-ordination meant the ball was projected at considerable pace. Even if you had lined up the occasional delivery, it seemed to skate off the surface much quicker than expected, meaning you were invariably late on it. You were reduced to a series of hopeful jabs and jerks at the ball with little certainty of contact. 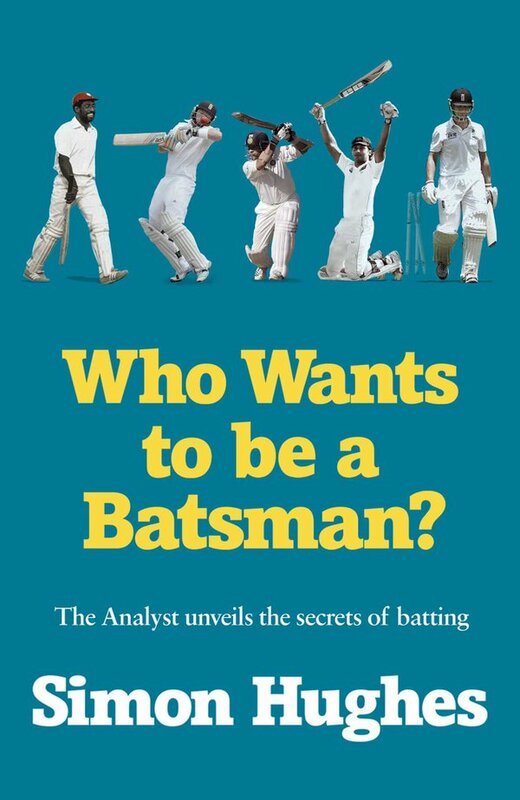 That was before he went round the wicket, scurrying up behind the umpire, invisible except for a pair of elbows, before jumping out to ping one down, sometimes, but not always, angling in towards your pads and then curving away at the last moment. This was a deadly tactic against tailenders – people he liked to call ‘walking wickets’. (His favourites were Devon Malcolm, Phil Tufnell and Courtney Walsh.) YouTube features numerous examples of lower-order batsmen wandering across the crease looking absolutely clueless as a Wasim exocet bends past their hopeful prods and uproots their off stump. It was like being shot by a sniper. I made 7 not out that afternoon. I have no idea how. It was mostly a case of ball hitting bat (or person) rather than bat hitting ball. Several whistled past but somehow missed the stumps. The way I batted it should have been minus 7. Wasim took six for 10 in his spell and polished off the innings, as he so often did throughout his career. Whatever means he used to make the old ball swing, you still have to bowl it in the right place, at speed, and get your angles right, and he was an absolute master of the art. He was only 20 then, just starting out, but he taught me a vital fact. I realised that day I would never be a batsman. And, if I had to face people like him every day, I didn’t want to be. Great anecdote. 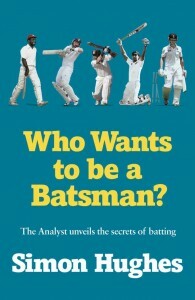 ..great read in the honour of an all time great cricket has ever seen. No match. What a great piece of writing about the all time great fast bowler. Loved it. Previous story Is this Pakistan series worth it? Well kind of….